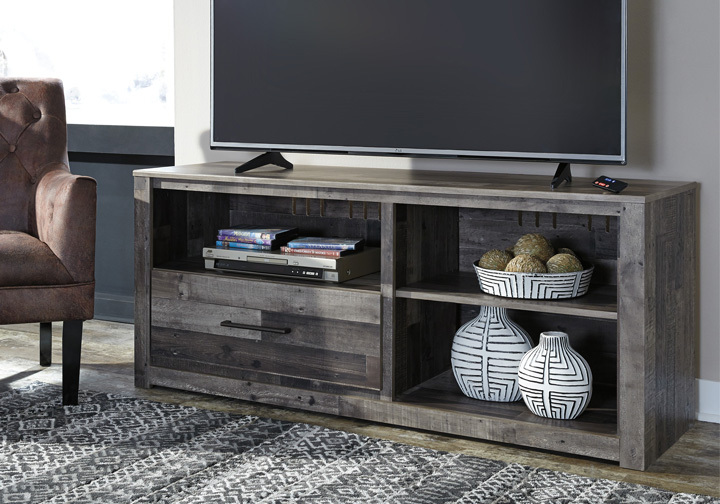 Make the Derekson TV stand the center of attention with its popular urban eclectic style and functionality. 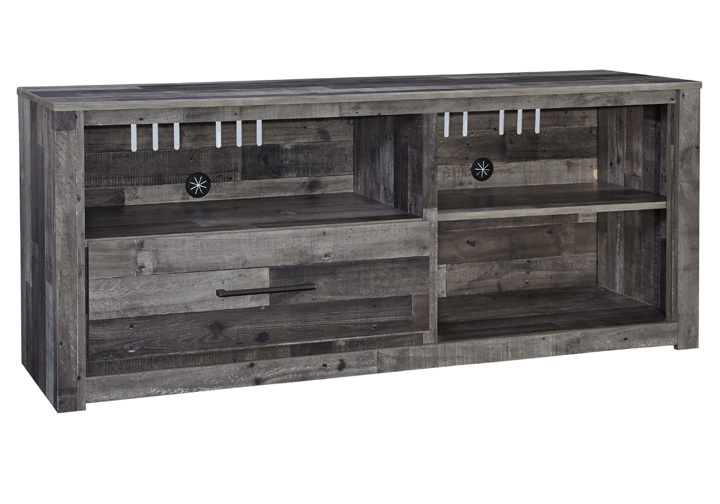 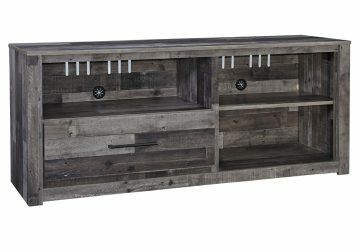 Its rustic finish over a replicated pine grain creates an authentic natural look for your home entertainment area. 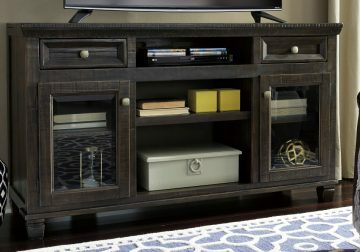 A spacious drawer, open cubby and adjustable shelf easily accommodate media needs. Cutouts keep wires out of sight and provide ventilation. 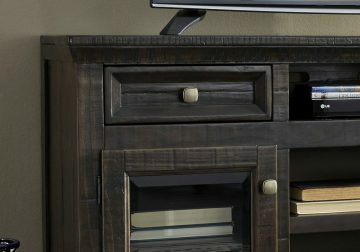 Sold separately, an electric fireplace or integrated audio unit can easily be installed on the right-facing side.